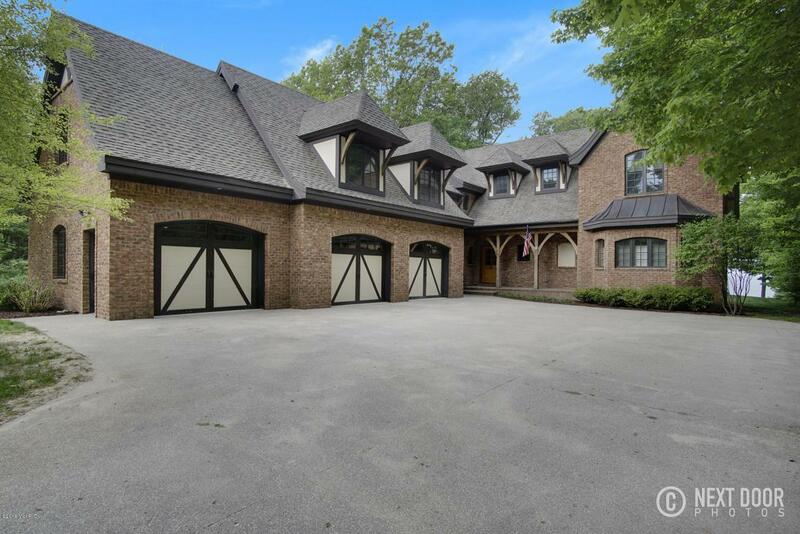 Custom Built ~Timber Frame~Lake Michigan Estate. The style & quality of this home is impressive to say the least. 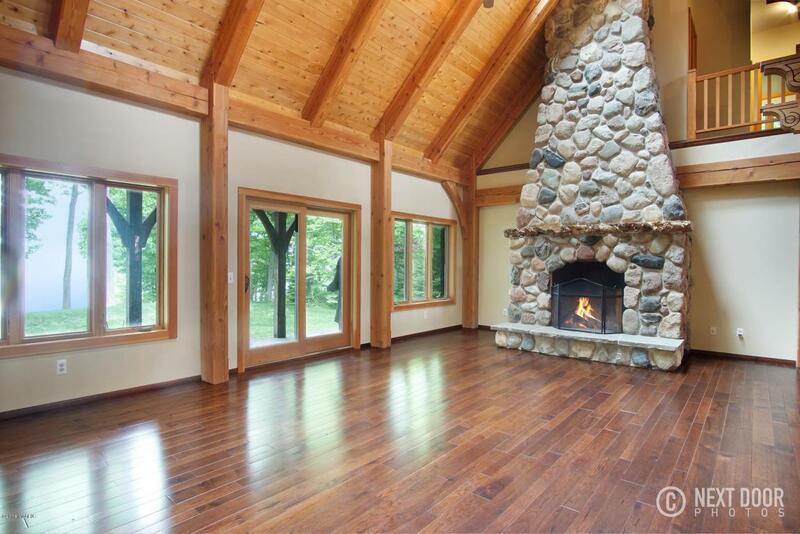 Soaring ceilings & a River Rock Fireplace in the great room, which opens up to the dining area & custom chefs kitchen. This home is set up for entertaining. The kitchen is full of quality built cabinets, granite counter tops, 48''X 96'' maple counter top island, viking range & hood, a wet bar, wine cooler, large pantry, & more. 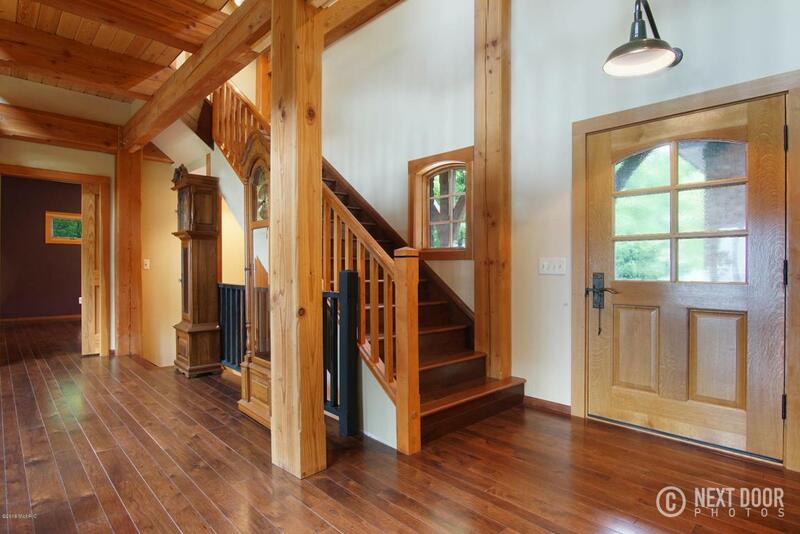 There is a beautiful master suite plus 2 bedrooms upstairs, also a large loft & 1,200 SF bonus room. The basement has 9 1/2' ceilings & full bath. 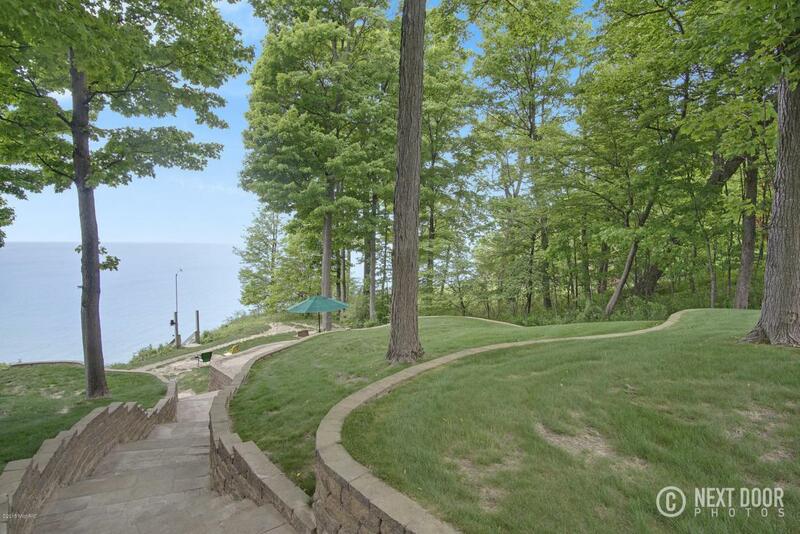 The garage & work area will continue to impress you with the heated floors, 220V electrical, water & more.Beautiful tiered landscaping, amazing Lake Views and secluded from the road.